Growing up Gay, Growing up Lesbian is the first literary anthology geared specifically to gay and lesbian youth. It includes more than fifty coming-of-age stories by established writers and teenagers and has been hailed by writers, educators, activists, booksellers, and the press as an essential resource for young people--and not-so-young people--seeking to understand the gay and lesbian experience. 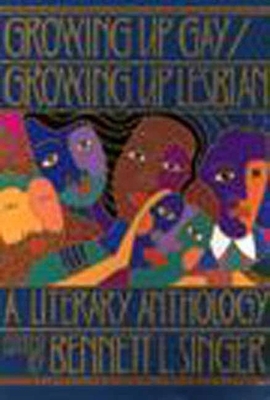 The anthology includes selections by James Baldwin, Rita Mae Brown, David Leavitt, Jeanette Winterson, Audre Lorde, and others. A free teaching guide is available. Bennett L. Singer is the editor of Growing Up Gay/Growing Up Lesbian, Gay & Lesbian Stats, and 42 Up all from The New Press. He has served as producer/director or associate producer of a number of acclaimed documentary series, including the Emmy-, Peabody-, and duPont-Columbia-winning Eyes On The Prize II, With God on Our Side, The Question of Equality, Brother Outsider, and Electoral Dysfunction. He served for eight years as executive editor of Time's education program. He lives in New York City.